Community court within a five minute walk. Kenwo Golf Course is a 10 minute drive. Well- mannered children are welcome. Everything about our stay was perfect. Tina was waiting when we arrived and showed us around which was much appreciated. My wife and I were accompanied by my mom and her dad who were very comfortable in their own rooms upstairs. The main floor is expansive and very comfortable. We all enjoyed sitting at the amazing timber dining table chatting and watching the birds just outside in the garden. Thank you, Brock! I'm so glad your stay was "perfect". We also appreciate you as the perfect guests! I'll be sure to drop by to say hi to your daughter. Highly recommended 5 of us stayed for a week and totally enjoyed our stay and the house. Just a couple of minutes to walk downtown for a latte in the morning. Very quiet neighbourhood, great owners and well equipped kitchen. Wolfville is our favorite place in Nova Scotia. Wow.....the place was absolutely gorgeous and the owners were great! 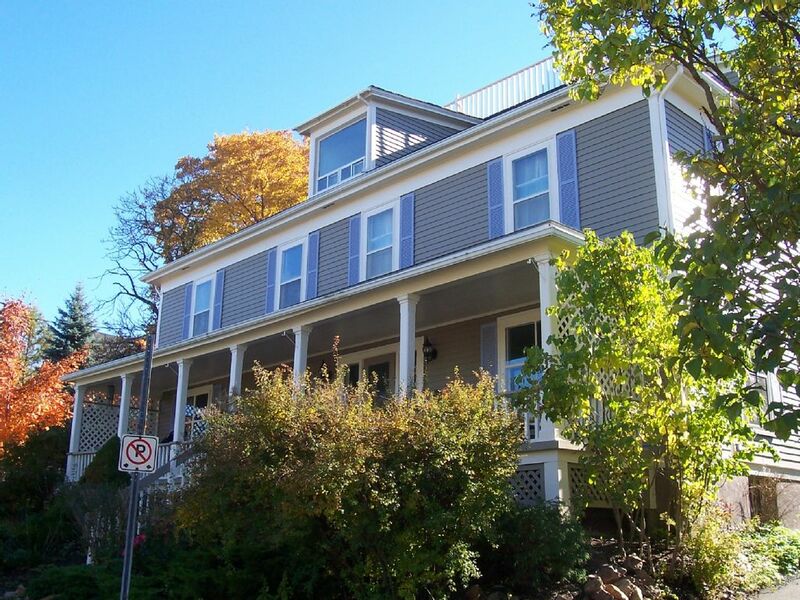 I would HIGHLY recommend this house and Wolfville for a vacation! Thanks Catheryn and Des for your review. I'm so glad you liked our home and your stay. It was really nice to meet you. Hope to see you again!